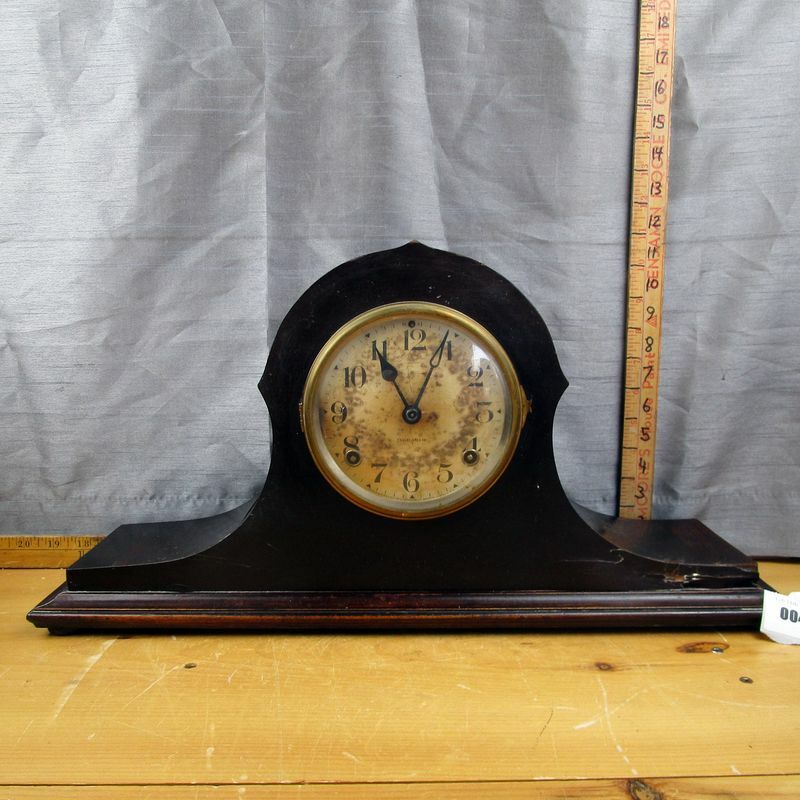 (4z) - Ingram mantle clock, made in USA Bristol. Has pendulum, Sold as untested, consignor says they were working a few years ago but have not been wound recently. Damage on front. **Lot Details: (4z) - Ingram mantle clock, made in USA Bristol. Has pendulum, Sold as untested, consignor says they were working a few years ago but have not been wound recently. Damage on front.